Incarnation: God choosing to come amongst us and live as one of us. By doing so, God emphasises to us the essential dignity of all human life. It shows how special each of us really is. The image of the Christ child in the manger, as humble a birth as can be imagined, is an enduring reminder of the nature of the Kingdom of God he came to bring about. I pray that the real peace and joy of the coming of our Saviour touches all our hearts this Christmas. We end the academic year with our Giving Mass and Presentations of Awards. It was pleasing to see many Parents, Grandparents and Friends attend to support the students. Congratulations to all the students who received awards and were recognised for demonstrating their talents and significant contributions during 2018. It has been my great pleasure and privilege to lead Carroll College as Acting Principal during 2018. There is a fantastic staff at Carroll College who spend significant time coaching, rehearsing, driving buses, tutoring and spending time away from their families to give the students many opportunities both within and outside of the College. It is pleasing to see so many students take up the many opportunities offered to them in sport, drama, music, public speaking and leadership. The 2018 HSC results were released at the end of last week. 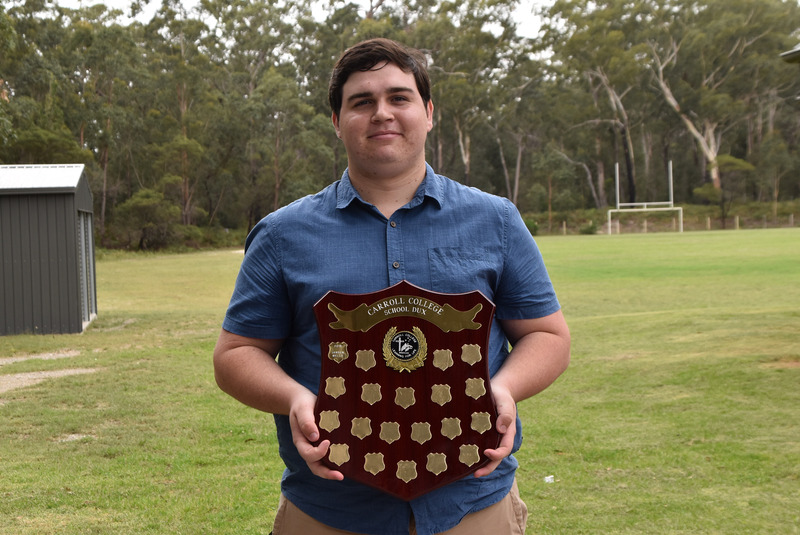 Congratulations to the College Dux, Jaxsen Wells who achieved an ATAR of 94.8. Such results only come from an expert and dedicated teaching team. Great results only come from hard work, dedicated study and a balance of schoolwork with outside pursuits. Upgrades to the sound system and projector in the Hall. Completion of upgrades to classroom projectors, whiteboards and sound systems. Completion of upgrades two new computer labs with new benching, seating and computers. They have all made a positive impact on the lives of the students they have taught. Finally, I wish all members of our community a safe, relaxing Holy Christmas and summer holiday. It is important to spend time with friends and family to return to the College renewed for 2019. This week, we came together as a community to celebrate the achievements of our students. 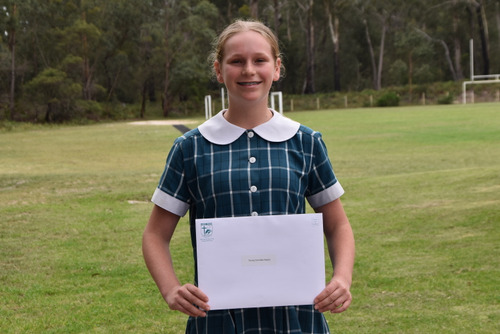 Yesterday we held House Award ceremonies where we recognised the hard work of many of our students. We presented 521 awards to students who gained an A for a course this semester as well as 74 Most Improved Awards. 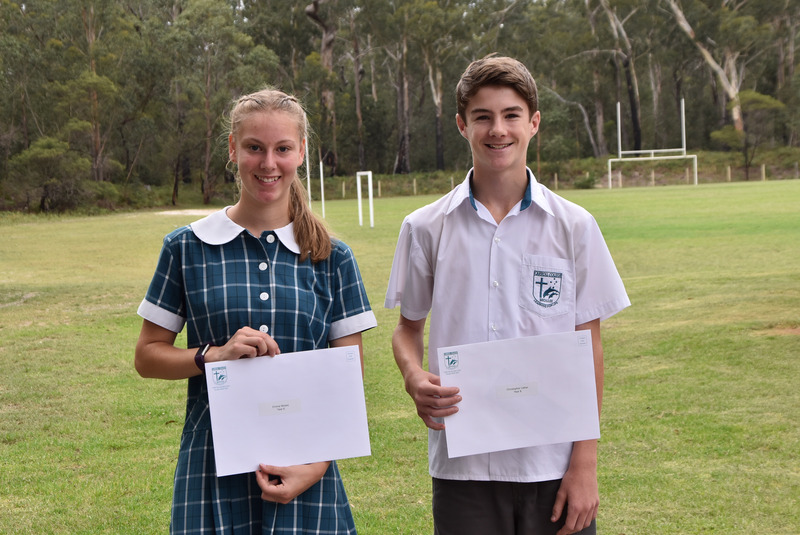 For those students who consistently apply themselves fully to their studies, we awarded 109 Endeavour Awards. These assemblies were well supported by parents and were a fitting way to acknowledge the efforts of our students throughout the year. On Tuesday we held our whole school Awards ceremony. 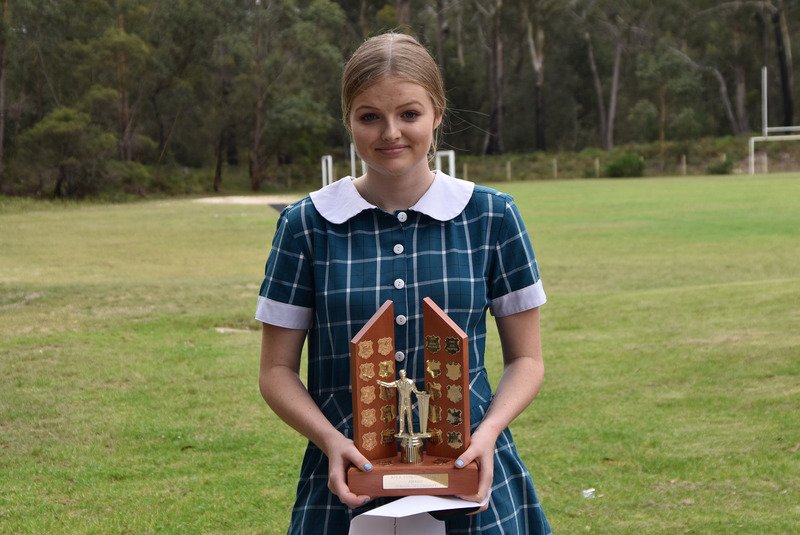 It was a privilege to be able to recognise the numerous academic, sporting and cultural achievements of a wide number of students. 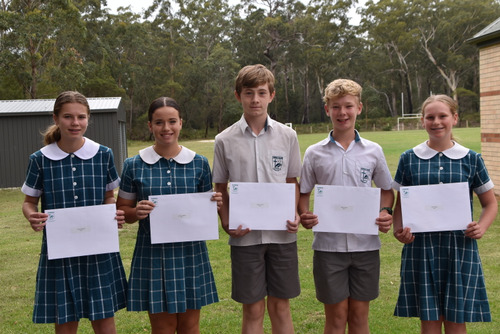 A number of students received Academic Excellence Awards recognising their hard work and consistency throughout the year. These were awarded to students who attained A’s in more than half their subjects in both Semester One and Semester Two. 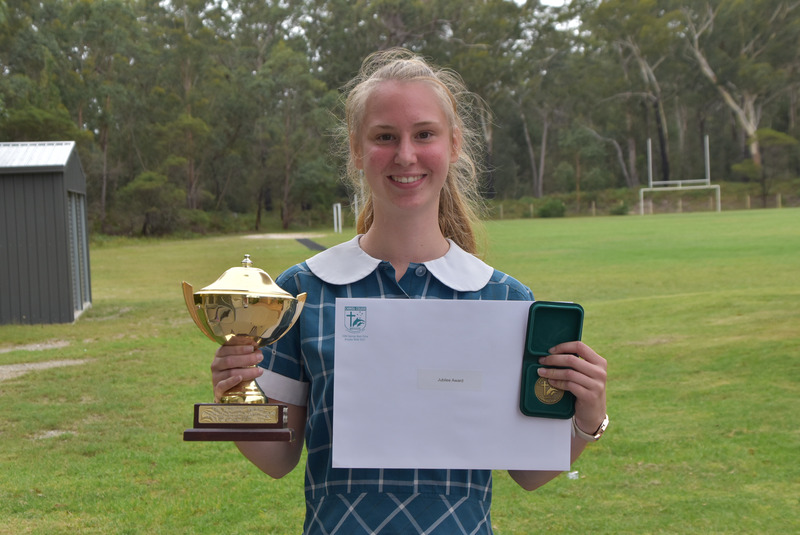 Several students achieved a “Dux” Award meaning they attained all A’s in both semesters - a truly remarkable feat. 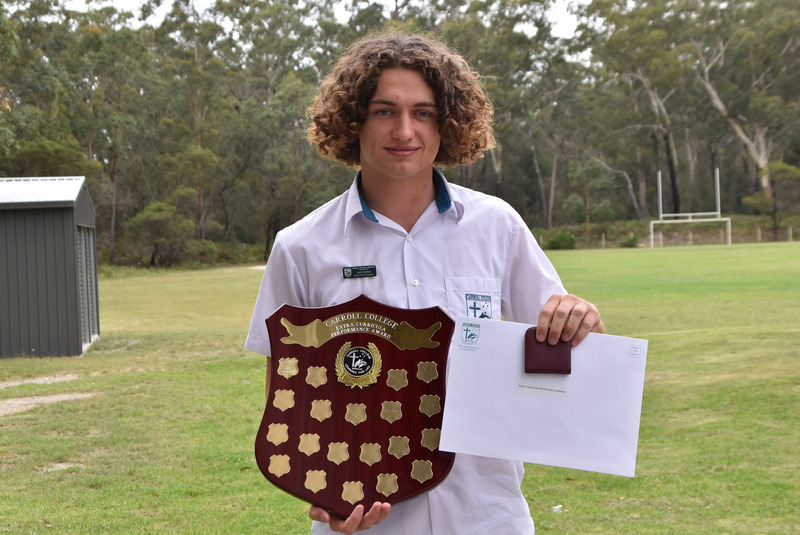 We also welcomed back Jaxsen Wells, our College Dux for 2018, who took some time to address the student body on what it takes to be successful and how to achieve your goals. Our End of Year Awards Ceremonies are all about Aiming High, Being Proud and Celebrating Success. 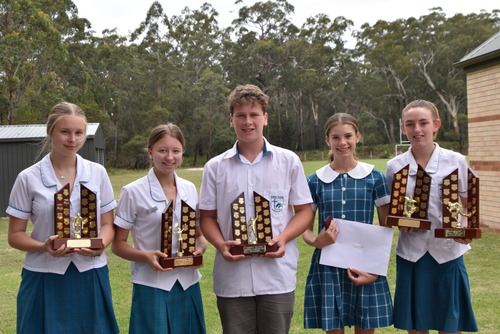 Well done to all of these students. These awards are well deserved. 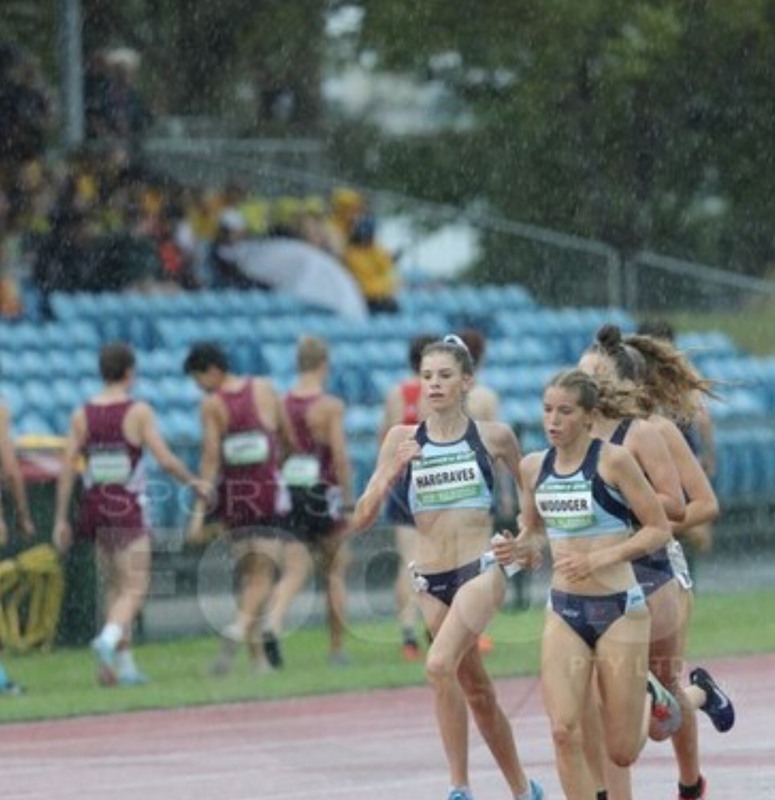 As this is my final newsletter as Acting Assistant Principal, I would like to take this opportunity to thank and acknowledge the support I have had from the Carroll College Community whilst I have been in this role. 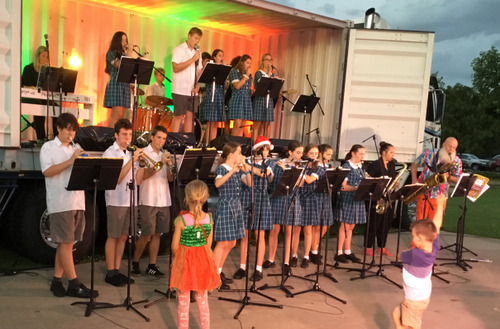 I wish you and your families a very happy Christmas and restful holiday period and I look forward to continuing to work with you in 2019 as I resume my role as Xavier House Pastoral Leader. As a College, we have become increasingly concerned about the impact mobile phones are having in our classrooms. Many students are becoming increasingly distracted and the quality of their learning has been negatively impacted. Consequently, we have taken some time to revise our mobile phone policy. We are asking that students do not have their phones out or on during class time and advising them that if they do not comply, phones will be placed in the Pastoral Office until the end of the day. Students are not to send or receive messages during timetabled lessons. They are able to do this during both AM and PM breaks. Could I ask that you take a moment to look over our revised policy and have a conversation with your child about our expectations for 2019? It doesn’t seem too long ago since I sat down to write my first RE Matters article. Yet, what feels like a blink of the eye, here I am writing my last for the school year. In 2018, the Australian Bishops identified the liturgical year as the National Year of the Youth. Which coincides with the ten-year anniversary of World Youth Day 2008 in Sydney. 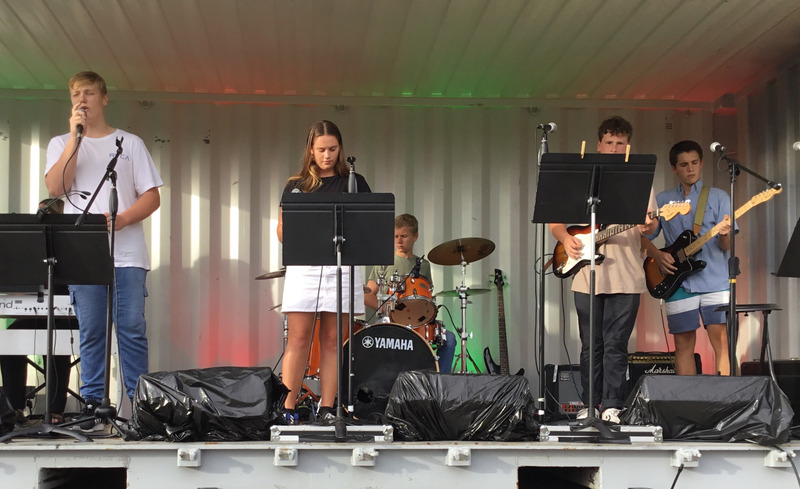 Our students certainly rose to the occasion showcasing their faith, compassion, willingness to be involved and various talents throughout the year. During the end of year Giving Mass, each one of these qualities was on display. We gathered together as a College community, to give thanks. Thanks for the year that has been, for the teachers and the friendships which have been formed. We give thanks for all those who are leaving us, especially Fr. Dominic and Youth Minister, Jarryd Atkinson. Most importantly, our Giving Mass is a time to give back to our community through our hamper donations made to Batemans Bay and Moruya’s St Vincent de Paul Society. Members from our local Vinnie’s were present to celebrate with us and collect the hampers. They were extremely grateful for the huge effort made by the CCB community. 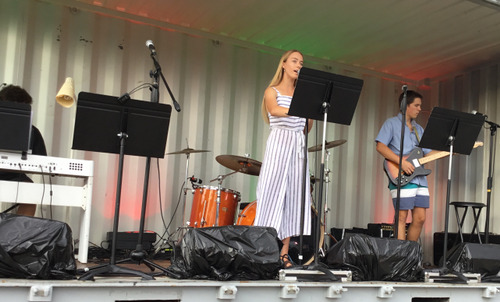 “One hundred families and children in Bateman’s Bay will wake to gifts under the tree and quality hampers due to the generous donations of Carroll College families” Gary Norris, President St Vincent de Paul Society, Batemans Bay Conference. “When people know there is a need, they do something about it and these hampers will go to real families in our communities who need our support” David McCann, President St Vincent de Paul Society, Moruya Conference. Our guests also commented on the caliber of musical talent on display. 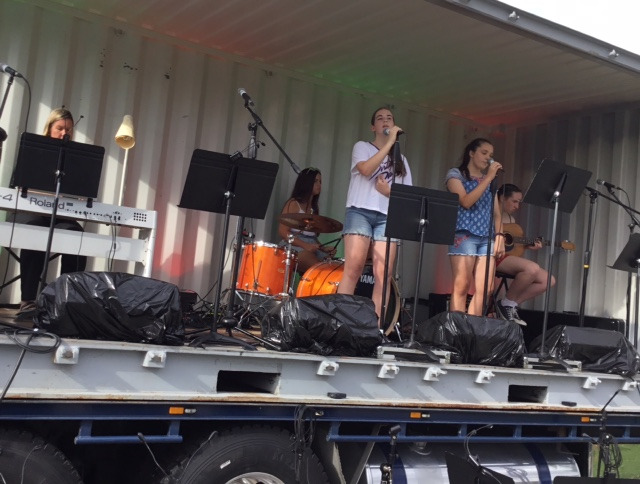 Working alongside Ros Maher, the Music Department and the students in the band and choir has made each Mass and liturgy meaningful and relevant for our young people. Finally, I would like to take the opportunity to thank the College community for the support I have received during my first year at Carroll. Although I was apprehensive to leave Sydney and start at a new school, I love teaching and this year has been no exception. As the season of Advent is now upon us, we commence our preparations for the coming of our Lord, Jesus Christ. May the birth of the Christ-child fill your families with every joy of the season. I wish all our families a very Merry Christmas and Happy New Year. I look forward to welcoming everyone back to the College in 2019. This weekend marks the end of the first part of the advent season, counting from the first Sunday of advent to 16th December, ushering us into the second part with the celebration of Gaudete Sunday (Rejoice Sunday). During the mass, we light the rose-coloured candle to lighten the mood as we cross the mid-point between the start of the season and the joy that comes with the anticipation of the celebration of Christmas. Advent is a season with rhythm. This can be seen in the organisation of the liturgy and the symbolic rituals of the season. Central to this rhythm is the Word. In our first weekend, St. Luke in the text of the Gospel presented the image of the destruction of the earth, the coming of the Son of Man and judgement. This fire-alarm approach is meant to create spiritual anxiety. To calm the anxiety, the second weekend offered a voice; a voice crying in the wilderness: prepare the way of the Lord... In this third weekend, the voice of John is giving precise direction to his audience who came asking: what should we do? As we go through this week, we pray for the grace to respond as appropriate to the demands of John’s voice. Coordinators are currently working on class lists for 2019. There will be a single A class in Years 8-10 as usual. This class is put together based on students’ academic results and work ethic across the curriculum areas of RE, English, History, Geography Science and PDHPE. (In Year 8 for 2019, there will be two streams of students - one stream based on the practical subjects and the other based on the Humanities. As a result Year 8 will have an A class for each stream.) The coordinators of these KLAs nominate their top students and then reach a consensus as to which students have made the A class for the first semester. The class lists are then re-evaluated after the first semester assessment tasks are completed and students moved accordingly. The other classes are mixed ability classes and students are allocated to a particular class by the coordinators to ensure a balance of abilities. All students will be able to find out which class they are in through Sentral in late January. 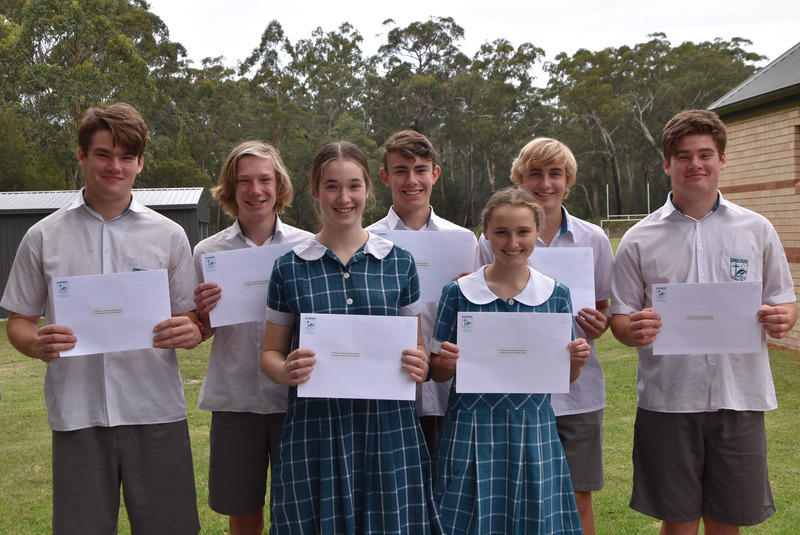 Last week our Year 12 students received their HSC and ATAR results. There were some terrific individual student achievements and overall our students were very happy with their results. 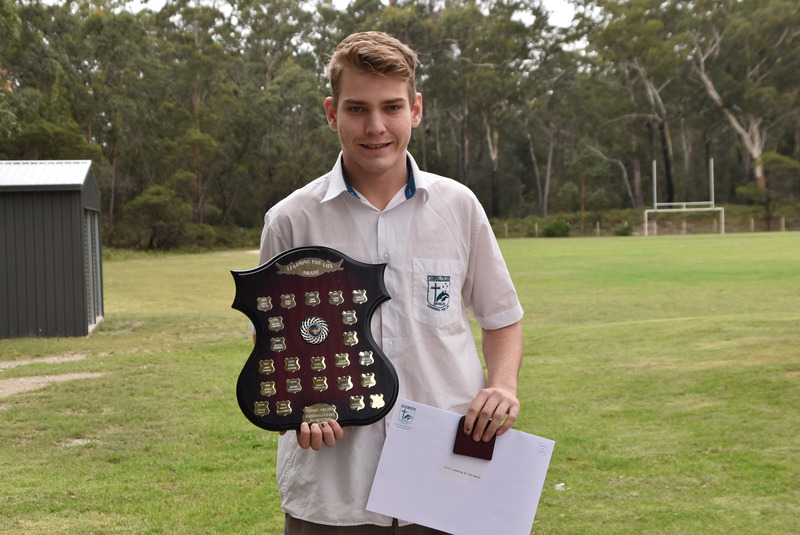 Our Dux of 2018, with the highest ATAR of 94.8, went to Jaxsen Wells. Jaxsen studied Advanced English, Four units of Mathematics, Chemistry, Physics and Catholic Studies. Second place was Brogan Dragisic with 90.25. Brogan studied Advanced English, General Mathematics, Biology, Chemistry, Geography and Studies of Religion. Congratulations to all our successful Year 12 students. I would like to take this opportunity to publicly thank all the teachers at Carroll for their hard work and dedication to their students throughout the year and to wish all students and families a safe and relaxing holiday. Having a blended family can create unique challenges at Christmas time, but you can create a joyous occasion for everyone. There really is no such thing as a ‘normal’ family any more. An increasing number of students live in a blended family of some sort. Step-parents, partner’s families, step-siblings, half siblings, cousins…you name it. Finding balance and ensuring everyone feels equally included can be tricky enough during the year, but Christmas time is when emotions can get high and feelings can be fragile. Create new traditions that include everyone. If some of your family won’t be over until lunchtime, can you put off the gift giving until then? Just because you’ve always done something one way, doesn’t mean you can’t adapt to include everyone. Ask everyone to contribute something to the celebration. There is nothing like feeling included to fill everyone with Christmas spirit. It’s best to ask what everyone would like to contribute though, rather than handing out tasks. That will ensure everyone is willing and excited. Make it okay to spread the celebration out over several days. Perhaps Christmas Eve with one branch, Christmas Day with another, and Boxing Day with another. spends some time withone and some time with her other parent. As long as we both attempt to spend time together and get along for the sake of the child, who cares? Have a Secret Santa for your extended family if it’s large. Buying cheap gifts for step-cousins you haven’t seen since last Christmas is such a waste. Instead, choose one person each to buy for and send them something awesome instead. Help your kids to buy gifts or make cards for their step-parents and other relatives. They don’t need to know about any adult issues among the family, they just want everyone to be happy and to get along. Ensure that each of your children gets equal gifts, whether they live with you full-time, or visit occasionally. Reassure your kids that you’re happy for them to go and spend time with their other family, if that happens in your home. It’s beneficial for them to know you’ll miss them, but don’t allow them to feel guilty for leaving you behind. In the name of Christmas, let comments and actions that would otherwise irk you just wash over you. This is not the time to take anyone on or seethe with old resentments. Smile and make small talk with people you might otherwise try to avoid. There is plenty of time for all that later. Let go of expectations. What will be will be, and having high expectations can only invite those expectations to be dashed. Don’t put too much pressure on yourself or others to create the perfect day. Remember, Christmas is just another day. Enjoy it for what it is, and allow all of your family to do the same. That’s the best gift you can give them this Christmas. Christmas can be fraught for both adults and children. It can be stressful but it doesn’t have to be. For we adults, the memory of childhood Christmas is usually positive. Everyone wants that for children surely. 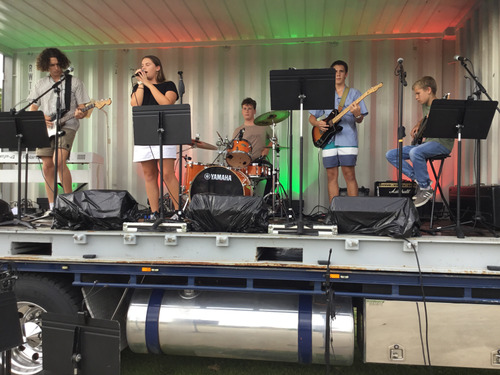 Carroll College students and staff performing at Moruya Carols by Candlelight on Sunday. 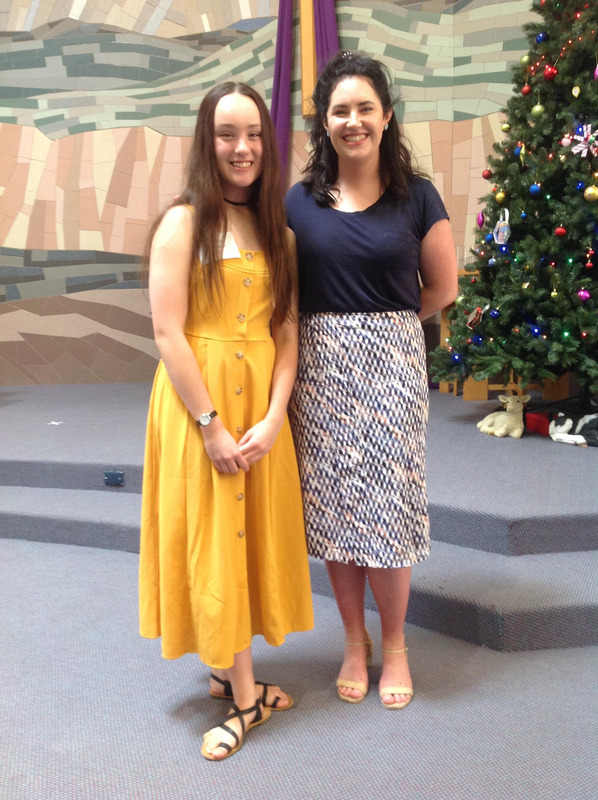 On Wednesday 5th December Antoinette McManus in Year 10 attended the 2018 Karabar Distance Education Awards Ceremony in Quenbeyan. She received an Academic Award for French from her Distance Education teacher Mademoiselle Josephine Gorham. Antoinette has been studying French through Distance Education for the last two years. 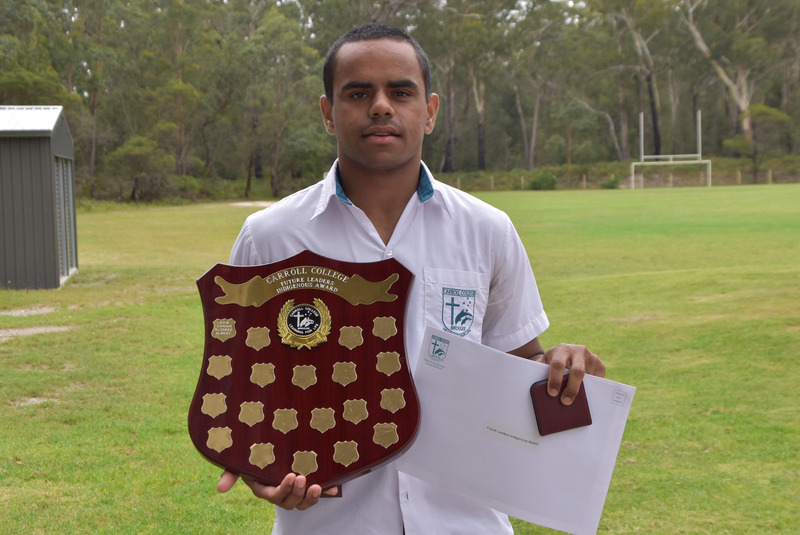 We are proud to announce that Tayliah Andy (Year 12) was successful in her application to attend the Walanga Mura Summer School at Macquarie University, Sydney during January 2019. This program ‘aims to assist the Aboriginal leaders of the future in their tertiary education journey. 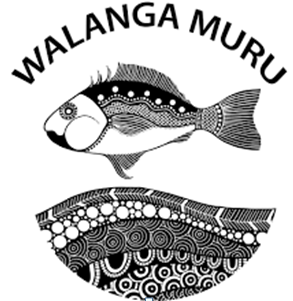 The language name of our office - Walanga Muru 'follow your path' - reminds us of the pathways we each take in life, and the role of strategy to support our Communities to follow their pathways and realise their potential’ (Macquarie University, 2019). 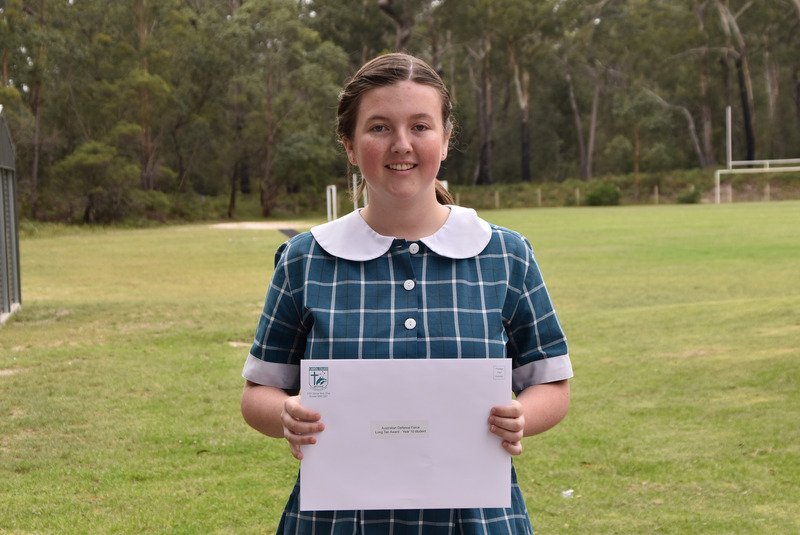 Tayliah believes “attending the Walanga Muru Summer School will help me to realise my goals and provide me with the opportunity to discover what it is like to live within a University. I see myself working within the local community as a registered nurse helping the elders and women to improve and maintain their health care.” (Tayliah Andy). Congratulations again to Shayne! 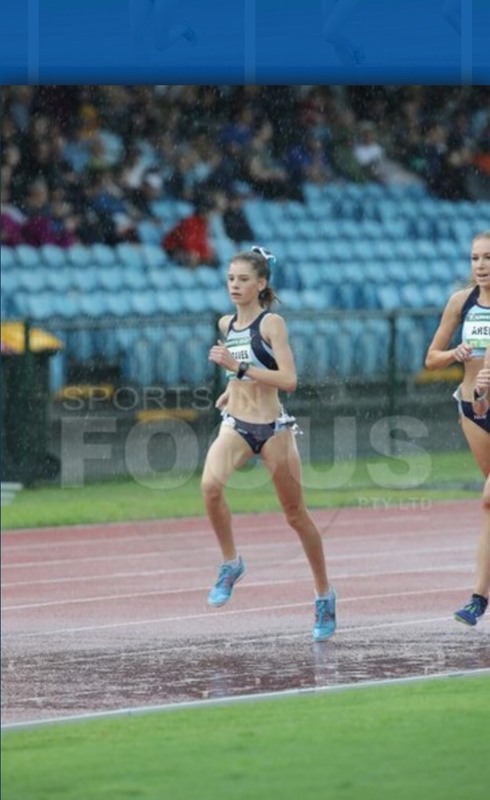 Shayne placed 7th in the 3000m and competed in the U18s age group. Well done! 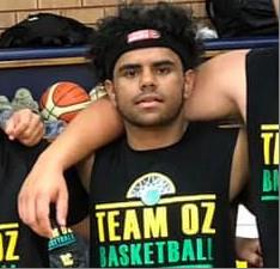 On behalf of the Carroll College, Broulee community we congratulate Jonah Slockee-Albert on his selection in the ‘2019 TEAM OZ BASKETBALL’ tour of the USA that will take place from the 7th July to the 22nd July 2019. Jonah will be playing in the largest certified AAU Tournament in the USA held in Los Angeles and Las Vegas. This tournament attracts hundreds of coaches and scouts looking to recruit college basketballers and NBA stars of the future. ‘Team OZ’ Coach Warren Rosen said the focus of the program “is to prepare young Aussie basketball players to get to the next level”. We wish Jonah well and look forward to providing a full report entailing his experiences upon his return. To the families who have paid school fees by the due date or as per Fee Reduction and/or Approved Payment Arrangements – THANK YOU. Please make arrangements to pay any outstanding school fees immediately. For any families on 2018 Reduction of Fee Arrangements or Approved Payment Arrangements – if you have not met the conditions of the fee reduction or payment arrangement – full fees are payable immediately. Parents experiencing financial difficulties may apply for school fees assistance which may offer Reduction of Fees and/or an Approved Payment Arrangement. This is done through the Application for Reduction of Fees which also requires supporting documentation. An Approved Payment Arrangement extends the period of time of fee payment (that is, a gradual payment of the fees) but also requires supporting documentation. All of this information is maintained confidentially. Reduction of Fees and Approved Payment Arrangements are generally granted on an annual basis, which requires a separate application each year. In some situations, reductions may be reviewed on a term basis. This may require you to lodge an application at the commencement of each term. You will be asked to discuss various aspects of your application. These arrangements are granted on the basis of conditions including, that you commit to and maintain a suitable payment plan. If you are unable to meet those conditions, the fee reduction or approved payment arrangement is null and void. This means that all fees would be due immediately. Access to Reduction of Fees and Approved Payment Arrangements are put in place to manage the payment of school fees and outstanding school fees, while families have students enrolled at the College. On student withdrawal, i.e. where students are no longer enrolled at the College – these arrangements are void. Prior to withdrawal, arrangements need to be made to pay outstanding fees in full. If you are unable to do this, please arrange a meeting with the Business Manager. Supporting documentation must be presented to determine an appropriate payment arrangement. How are School Fees Used? The College uses school fees to meet operating costs such as equipment, resources and improvements and building works which provide our students with many opportunities. Where there are outstanding fees, these will be followed up according to Catholic Education and Carroll College Fee Policies. Where fees remain outstanding, the College will pursue those outstanding school fees. As part of this process, continuing outstanding fees, unsatisfactory responses, non-payment, and lack of regular payment or long-term outstanding fees will result in the pursuit of those outstanding fees through a debt collection agency. Referral to a debt collection agency can affect your credit rating. On behalf of our finance and front office staff, we would like to wish you and your family a safe and enjoyable festive season. A big thank you to the Carroll College Year 8 French students from the Muddy Puddles team for raising funds to help us to support those families in our local area who need services for their children but do not have the funds to access them. 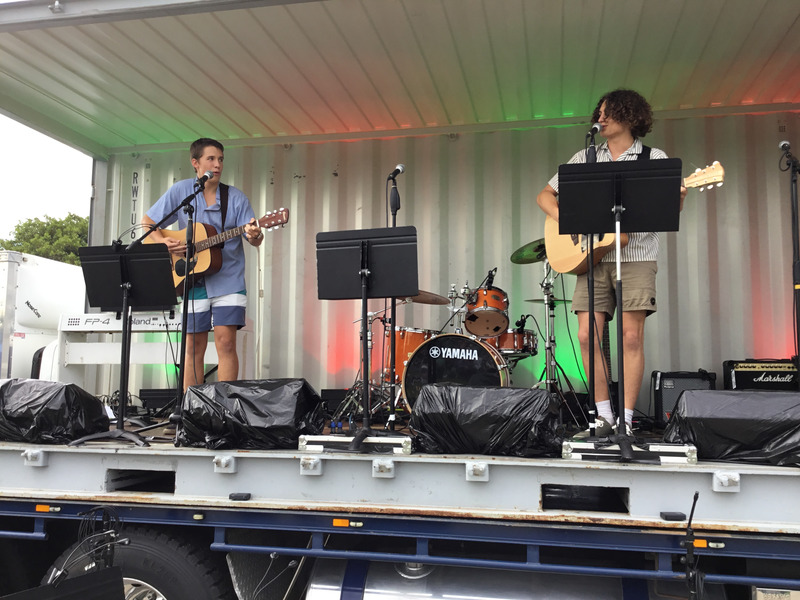 Muddy Puddles provides opportunities in the Eurobodalla for children and young people with a disability to build skills for a good life. We rely on the support of the community to continue to help our local families.